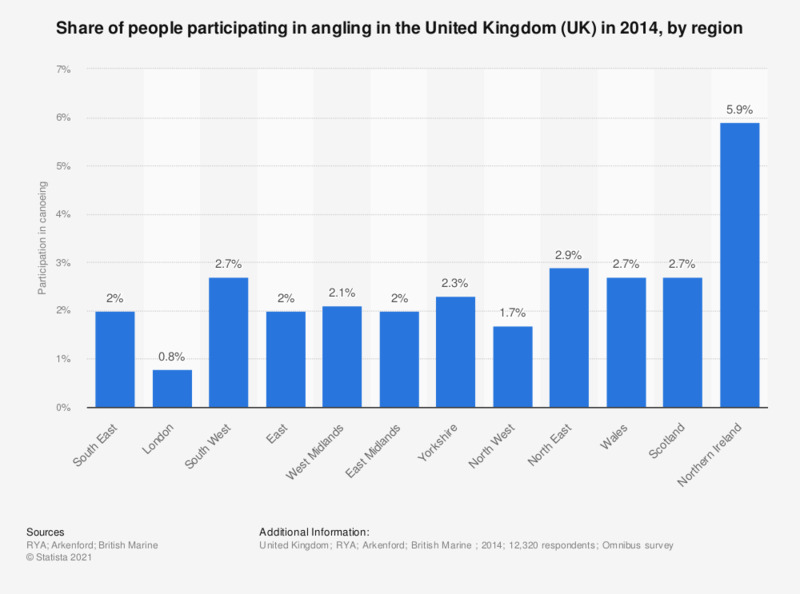 This statistic displays the results of a survey on the participation in angling in the United Kingdom (UK) in 2014, by region. In 2014, it was found that 5.9 percent of respondents from Northern Ireland stated that they participated in angling. How were you first introduced to angling?